HBOOn ‘Game of Thrones,’ some storylines are bigger than others. If you’ve been thinking that there’s a confusing amount of different storylines and characters on “Game of Thrones” lately, then you’re not alone. Even the people who work on the show are aware of this. Season six seems to be especially jam-packed with plots. While characters usually come and go, this season seems to have a lot of characters that are either returning or coming back from the dead. 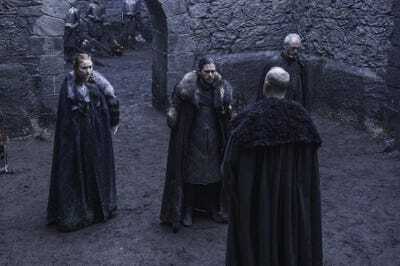 Entertainment Weekly recently talked to “Game of Thrones” co-executive producer Bryan Cogman and asked about how the show manages to juggle so many different stories. HBOSansa and Jon’s campaign to take back Winterfell takes place over several weeks. What Cogman is saying is that every character’s story takes place over a different period of time. To exemplify his point, Cogman contrasts Arya’s training and escape from the Faceless Men with Sansa and Jon’s attempt to recapture Winterfell. 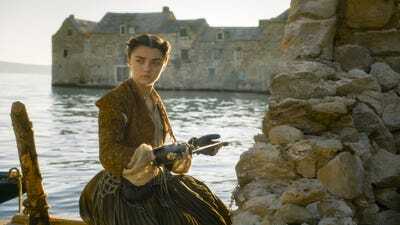 While Arya’s arc takes place over a few days, Jon and Sansa’s would likely take place over several weeks, but both events take place in the same episode. This explains why “Game of Thrones” has managed to do such a great job balancing a gigantic world, and is able to fully flesh out major characters like the Starks and the Lannisters, as well as smaller ones like Hodor and Brienne of Tarth.